Bo is one of the powerful Brawler, He is an eagle-headed guy, With Eagle eyesight, He arrows target with greater accuracy.His Arrows are simply explosive and destructive! He is one of the greatest bowmen in the game. He is unlocked from trophy … [Continue reading] about Bo Brawl Star Complete Guide, Tips, Wiki & Strategies Latest! 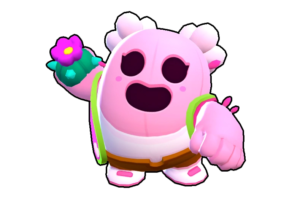 Carl is a super rare character in the game and following mentioned is the quick overview of the character Carl from the Brawl Stars, The character Carl is super rare. "Carl throws his Pickaxe like a boomerang. His Super is a crazy cart spin that … [Continue reading] about Carl Brawl Star Complete Guide, Tips, Wiki & Strategies Latest! Good News! for all the Brawlers around, Brawl Stars New update is about to come on March, Consisting of lot of new features, One game mode is added and One Brand New Brawler!Let's Checkout the details without wasting our time further! … [Continue reading] about Brawl Stars March Update 2019 Complete Details You Need to Know! Check out the latest video! So Whatsup Brawlers, Brawl Stars January update is finally out and there are people who are very curious to know much more about the brand new Brawler Gene!There was a small clip launched by Supercell team in Brawl … [Continue reading] about Gene Brawl Stars Wiki, Guide, Tips – Everything We know till Now!